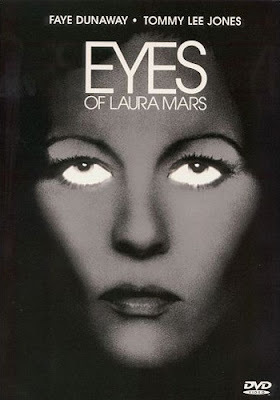 The Horror Digest: Eyes of Laura Mars: Well It's Official. 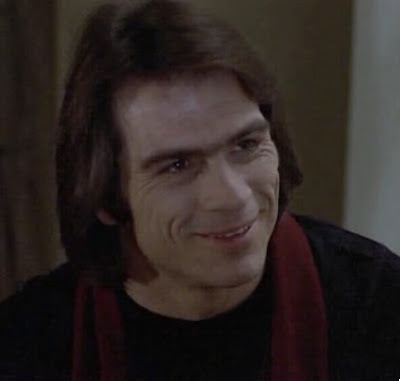 Tommy Lee Jones Was Never a Stud Muffin. Saw this a long time ago due to the John Carpenter factor. Don't really remember it at all now, might have to check it out again. Ive always had this one on my list, I need to get down and watch it as soon as I can. I always dug Brad Douriff, you find him freaky, but to me, with him, thats the whole point. He is always effective in creepy movies. He is also great at playing demented characters! Also, I had forgotten that Raul Julia was on this one! He is one of my favorite actors for two reasons: He is a great actor AND...he is from Puerto Rico, where I live. 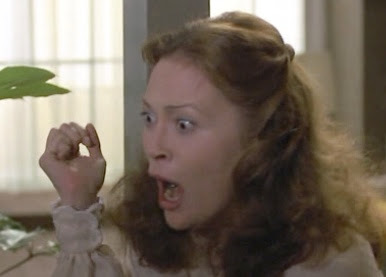 So two good reasons to watch this movie, plus Faye Dunaway going bonkers, which she is always good at. Nice review!! 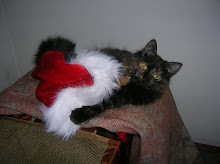 I will be seeing this one soon!! Haha yeah I do understand his freakiness being key! I was just startled to see him as a limo driver I suppose. I LOVE Raul Julia. I've decided I'm going to do a giant tribute post to him on his birthday which is in....March I think. woohooo! The Cure's "Killing an Arab" is based on a scene in Camus' novel, The Stranger. Strange how musical artists will pick up inspiration from other media. Books, Art (David Bowie's Andy Warhol), sculpture, and film. Skinny Puppy are avid movie fans, particularly of the horror genre. 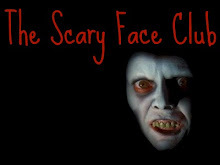 Samples in their albums display a library of horror both good and bad, from the Exorcist and Legend of Hell House to Blood for Dracula and Videodrome. Seems Tori Amos has weak spot for horror, too. ahahaha, Brad Dourif looks so demented in that picture. I still haven't seen this, but will some day. I am pulled in by the gravitational force of Tommy Lee Jones' do. My favorite scene is where her pal Donald (RENE AUBERJONOIS) dresses as her and parades down the street only to end up dead. For weeks after watching it with a friend, we would randomly call each other's voice mail and scream "D-O-N-A-L-D!" ala the insane DUNAWAY. GOOD TIMES! Hahah....ahahah that is the best in the world. That scene is classic, he has amazing legs! I had a huge problem with this movie, although there was a whole lot to love. Dunaway is magnificent, but damn the film for not resolving the whole psychic thing, plus having a stupid stupid stupid stupid ending. Grr. Oh, and SOMEONE clearly hasn't watched season 8 of ANTM, wherein the modeltestants had to pose as dead girls in bathtubs. I do not lie. What! I have seen season 8 missy! They are just posing dead in that photo shoot. I'm talking here about half naked models killing someone! Maybe Tyra is afraid to get into that whole....murder thing, I can see it being taken the wrong way. 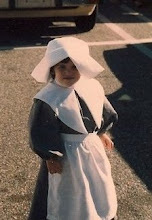 Although we all know who actually started the meat dress trend--not Lady GaGa. Tyra....in that photoshoot with meat. I happened to finally see laura mars last week. Well, i was disapointed, but i guess, it's just because this kind of film was probably brilliant and novating at the time, and that all the ideas have been used so many times since. - The ending, please, not anymore the good and evil fighting in one of the main character, it seems like nowadays wether people are ALREADY dead, or they are psychopath, and we should be "wouaah!". But it's probably true that at the time, it was not a scenario trick yet to end up a strange film. 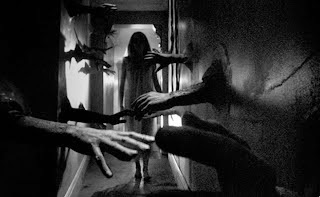 - the soundtrack, probably one of the first film using music and photography like nowadays, before Mickael Jackson Thriller, and at he beginning of photographers like bettina reins. - Brad Dourif, i have never seen child's play, don't know why, but i've seen Dune, but especially, a very strange litle budget John Huston film called Wise blood, i could not forget his eyes after that one. He is simply... the Devil in it. 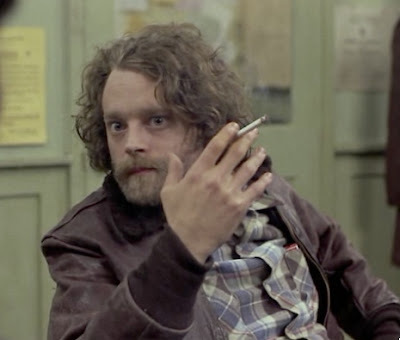 Brad Dourif has a beautiful face, and has unfortunately been typecast into playing psychos. oh god.. this is one of the crappiest reviews yet. i wish people who are capable enough to blog just walk away before they hit the "publish" button. next time do some damned research. nothing more than i hate the most is laziness and ignorant commentary.